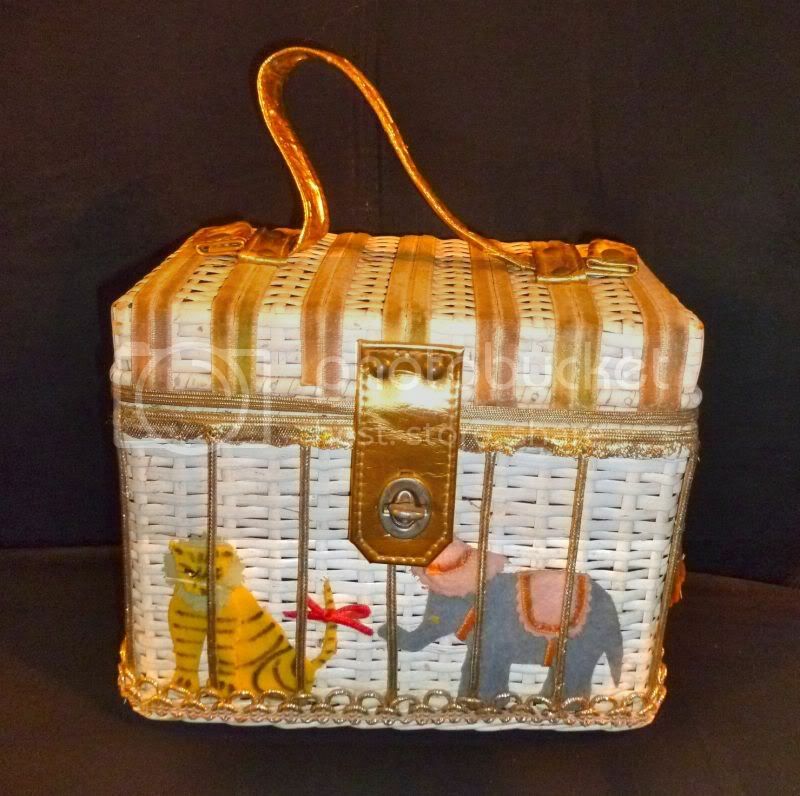 Circus or Zoo Animals Wicker Purse. 1960s. Maker: Magid. 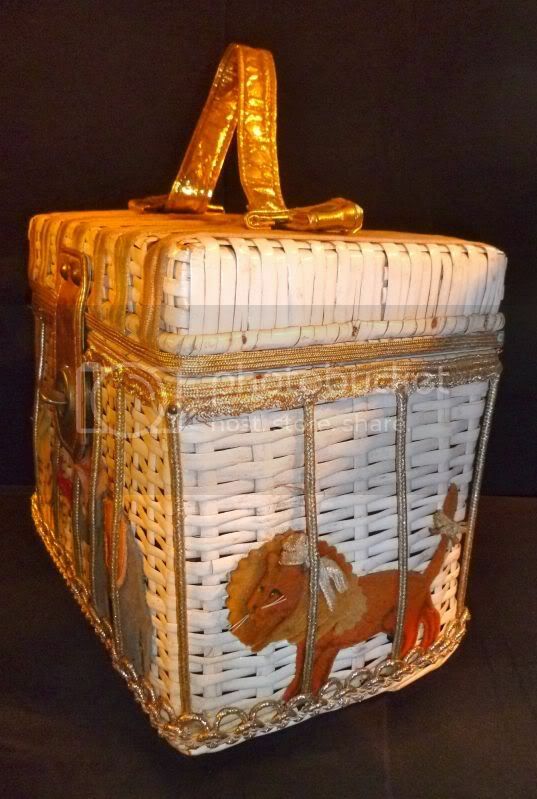 White-painted wicker box bag with an incredible circus animal design, featuring detailed felt three-dimensional animals: monkey, tiger, elephant and lion, behind a “cage” made of golden trim. 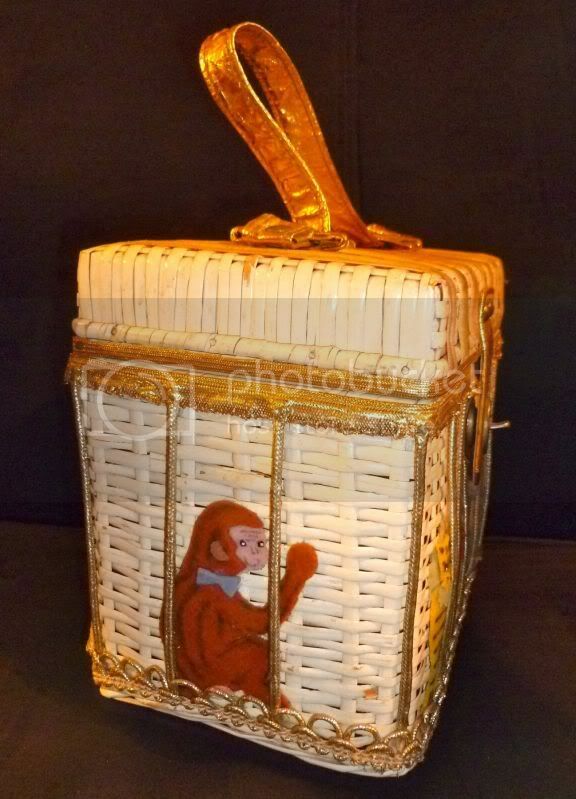 Gold leatherette handle and twist-lock closure. There’s an additional label inside that says “De Pinna,” which, I recently learned, was a high-end clothing store founded in the 1800s. It changed hands a few times and closed in 1969. This purse is my most recent acquisition and one of my favorite finds ever. It’s not in perfect condition, but just look at that remarkable detail on those animals! It’s truly a work of art. Wow! That is a super cute bag! I love it. Great find.